The pathetic truth is that most English users use words, phrases, expressions or abbreviations whose meanings they do not know or bother to check in the dictionary. They confidently use them for either of these reasons: people use them or they are trending. My dear, there is no pride in ignorance! Using a word whose meaning you don't know is like not knowing the name of the phone you are using or the colour of underpants you are putting on. There is nothing as shameful as this. Through a video I watched on YouTube, I discovered that most persons don't actually know the meaning of these commonly used abbreviations: ATM, POS, GSM, LCD and SMS. In fact, just one person out of the numerous persons that were asked the meanings of these abbreviations got them correctly. These abbreviations are like saliva - every passing day people spew them. Yes! We often hear people say "send me an SMS", "the ATM is currently not dispensing cash", "Do you have POS system?" or "I have an LCD TV". With the rate at which people use these abbreviations, I had always thought they actually knew their meanings; little did I know they were only trying to fit in where they didn't belong. You don't need to fit in when you are meant to stand out. And what makes you stand out? Knowledge! I advise you always check the meanings of words, especially trending words, before using them. 1. SMS - Short Message Service. 2. GSM - Global System for Mobile communication. 3. POS - Point of Sale. 4. ATM - Automated Teller Machine. 5. LCD - Liquid Crystal Display. 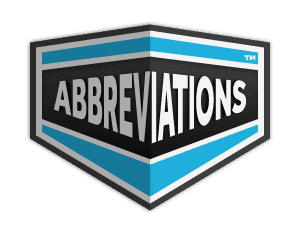 These abbreviations are even more popular than our celebrities, and I doubt if you stutter while mentioning the names of celebrities we have in this country. If you can correctly mention the names of these celebrities, I see no reason why you should fail to give the meanings of these abbreviations. Always learn what you don't know! I had no clue LCD meant liquid crystal display. Nice one. I have learned a new thing today. Cheers!